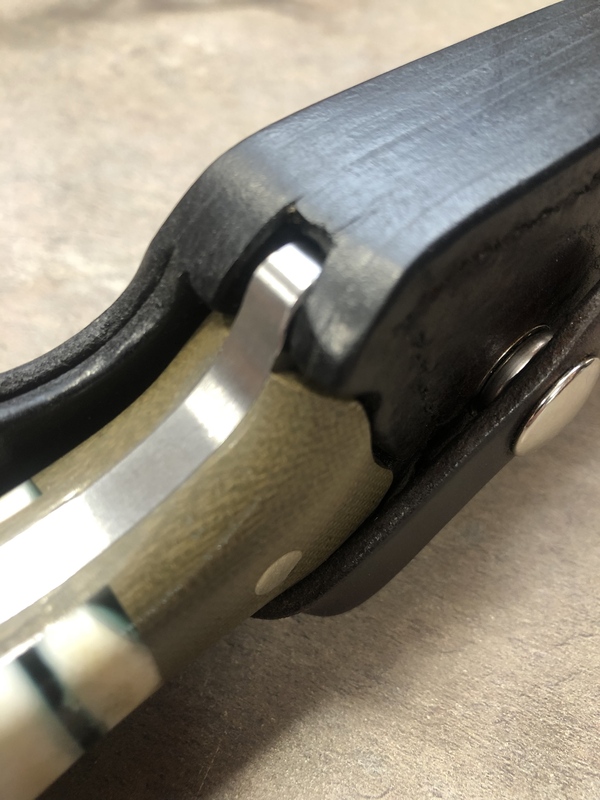 Discussion in 'Armoralleather' started by leatherman, Jul 2, 2018. 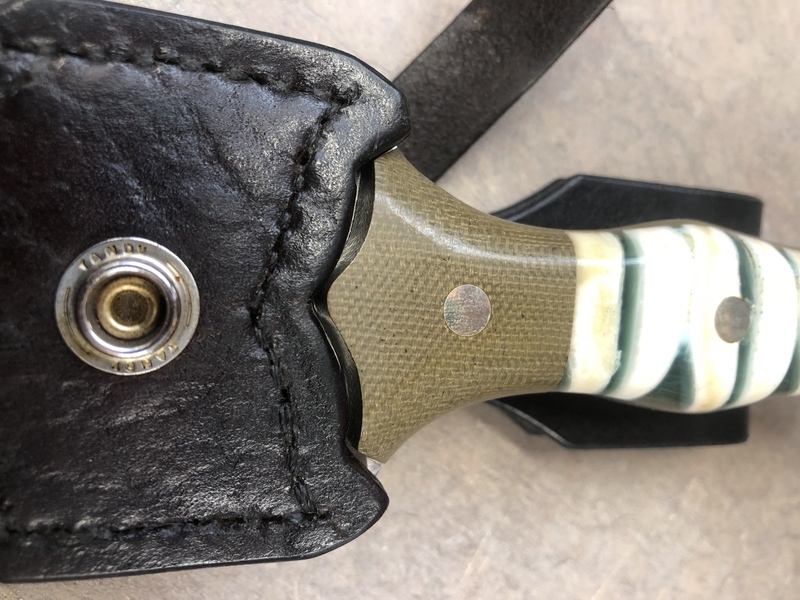 I want to start a thread for everyone on the list for the new FMV8 sheaths so we can keep up and you can see your sheath come together as I get time to sit and download pictures!! 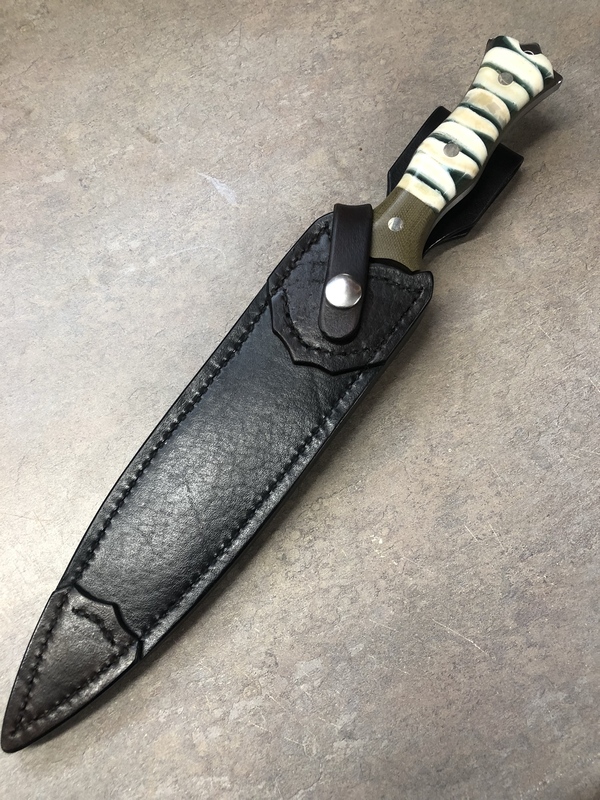 This is an exciting knife and I am loving the creativity of my customers helping me get this to be one special sheath run! 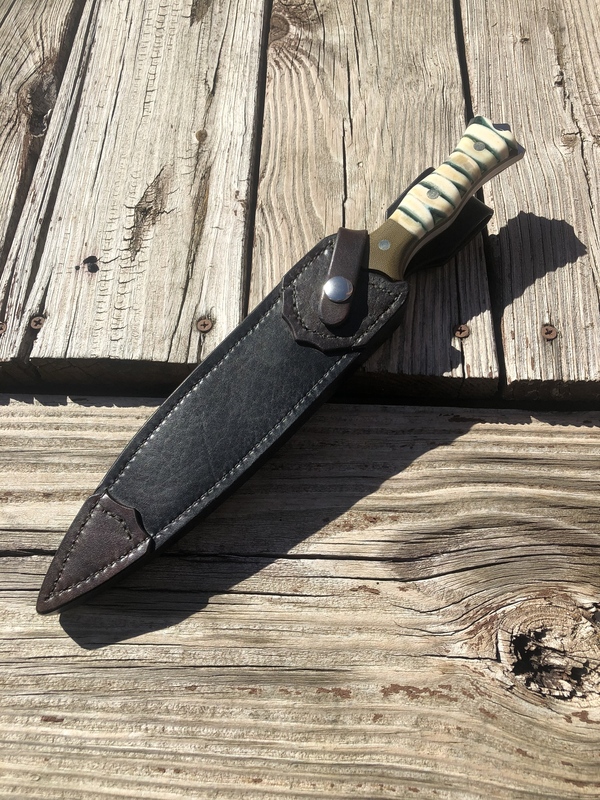 Each and every sheath will be hand stitched, NO sewing machines in my shop, so the progress will be slower than one with a machine, but each one will be unique and special. 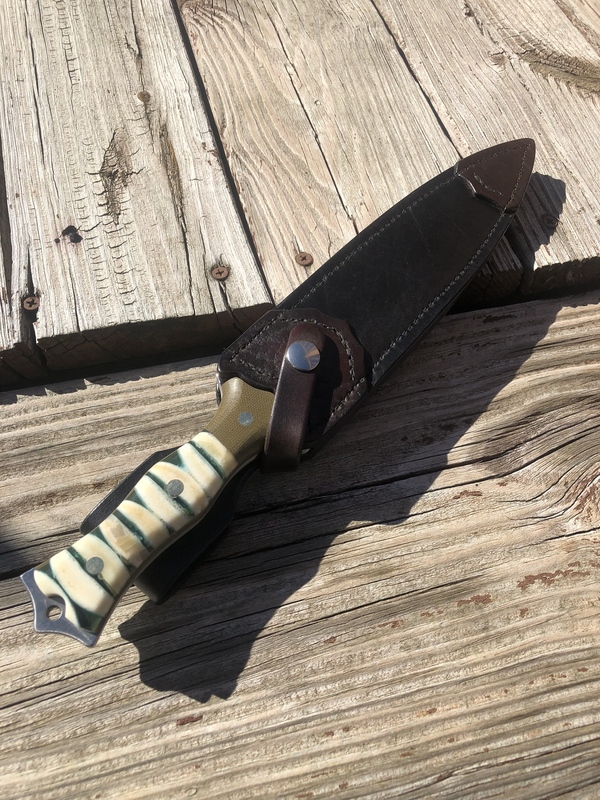 A bit of me goes with each sheath I make. Thanks to everyone involved in this project!!!!!! 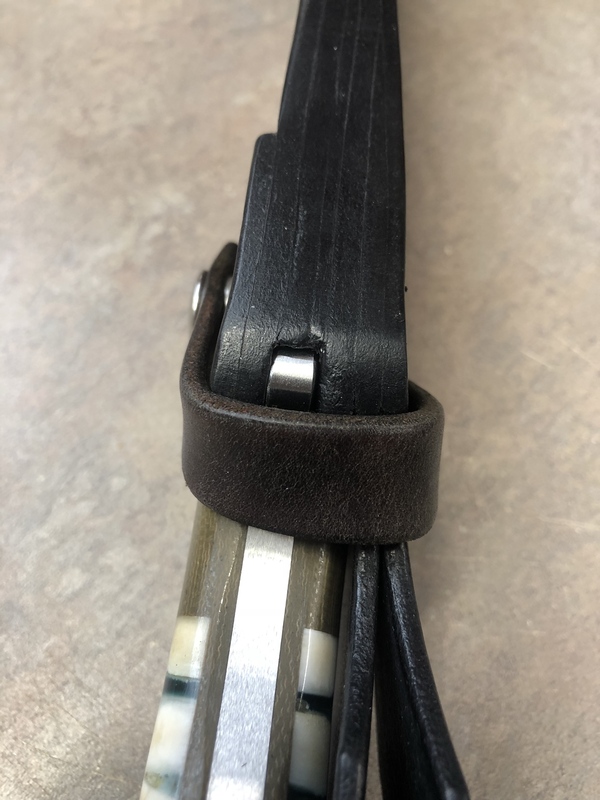 Do you have any in brown leather ready to ship,if so what is the price? None ready to ship, but I do have one in pieces that could be brought together pretty quickly. Thanks for the reminder on this thread! I have lots of pics stored up on the camera and haven't had the time to get them sized down and ready to post. I'll get on that asap! Hard Knocks and duramax like this. Thanks man! I am so glad the rig made it today!!!! !